for Manon Lescaut which opens June 24 in London. "Louisiana, early 18th century. 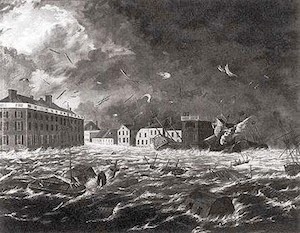 A few kilometres outside New Orleans: Manon and her lover, Des Grieux, have escaped the city on foot, hoping to reach an English settlement. What lies ahead of them seems insurmountable: plains so vast and mountains so high they would daunt the roughest and hardiest of men and women. As night falls, Manon can walk no further and succumbs to the unavoidable. She collapses from thirst and weariness, and dies in the ‘the depths of the desert’. The inhospitable land the two lovers describe in the last act of Puccini’s Manon Lescaut has more than puzzled contemporary audiences and directors alike. 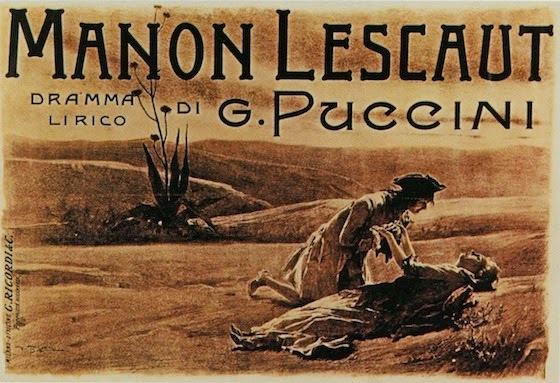 The original poster of the opera’s 1893 premiere showed sun-baked arid hills and what appears to be like an agave plant (more commonly found 2,000km away in the accurately arid desert of Arizona, not in Louisiana). To put it mildly, the setting is a largely inaccurate description of the outskirts of New Orleans, even some three centuries ago. Devastating hurricanes aside, the southern city is used to a healthy amount of rainfall. And water also abounds in lakes, streams and other watercourses that dissect this meandering delta region of the Mississippi River. It's an area alive with mammals, birds and reptiles. In fact, rather than thirst, it's likely that hungry coyotes or alligators would have led to Puccini heroine's untimely demise. So why did the composer and his librettists get it so apparently wrong? have been more realistic than a desert death. The original source of the opera and later adaptations offer a few possible clues. In his 1731 novel L’Histoire du chevalier des Grieux et de Manon Lescaut, French writer Abbé Prévost gives some details about what was then predominantly uncharted territory to European colonizers. Apart from a mention of ‘barren and uninhabited plains’, the author describes Manon’s resting ground only briefly: ‘We sat down in the middle of a vast plain, unable to find a single tree to give us shelter.’ One of the last scenes of the 1830 ballet-pantomime Manon, by dramatist Eugène Scribe, is also set in the ‘vast desert of New Orleans.’ But his 1856 opera Manon Lescaut, with music by Daniel François Esprit Auber, takes place in the ‘plains, and forests of North America.’ Both Prévost and Scribe seemed to have portrayed a settlers’ misconception about much of America west of the Appalachian Mountains." [Source] Read the entire article by Mattia Cabitza by clicking here. 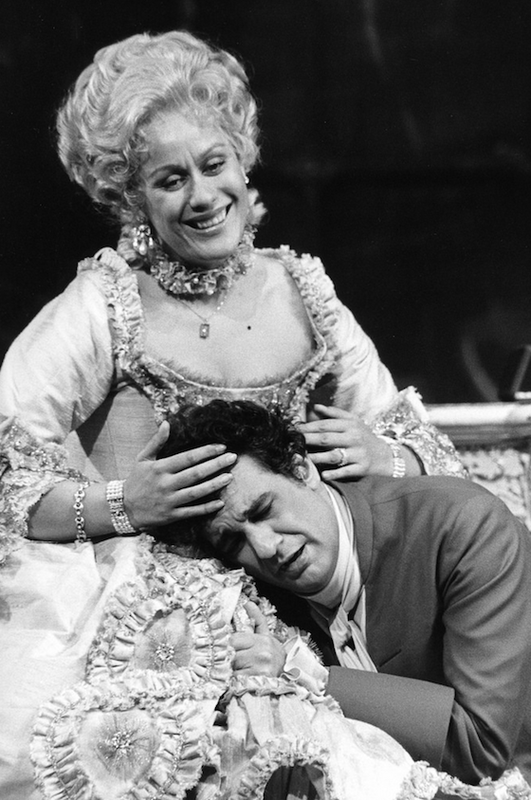 See the original poster for Manon Lescaut and a photo of Kiri Te Kanawa with Plácido Domingo in the 1983 production at the ROH, after the jump.